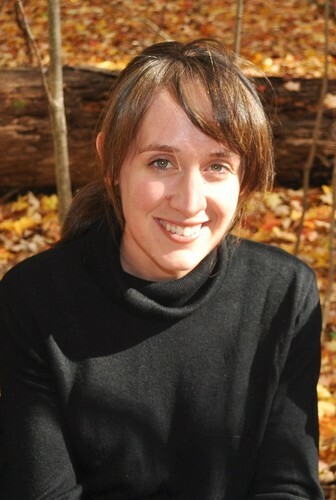 Rachel Bomberger is the Internet marketing manager at Eerdmans. She loves reading, writing, and interesting tights. She does not love personal criticism. Growing up, I was one of those kids. The rare ones. The parents’ joy. The teachers’ dream. My own worst enemy. In fourth grade, a mouthy kindergartner told me my tights looked like her baby brother’s high chair cover. I never wore those tights again. When I was a freshman in high school, I once got caught chatting with a classmate during English class. My teacher gave me a stern look and the world’s shortest scolding. Thoroughly chastened, I quickly shut up, put my head down on my desk, and didn’t say a word for the rest of the class period — or for most of the rest of the school day, either (just for good measure). My parents weren’t the most lenient in the world (just ask my brother and sisters), but I only remember them grounding me once in my entire young life, in fifth grade. They never did it again. They never needed to. That’s how responsive to verbal correction I was ever after. I’m sure that to the grownups in my life, a goodie-two-shoes like the girl I was probably felt like a godsend. From my perspective, though, mine was a knife’s edge way to live: constantly listening for — and hyper-sensitive to — criticism from anyone I respected more than myself (a category that could include, at times, almost everybody I knew). I was always afraid to question or to rebel; scared to take any stand that might earn me even an ounce of disapproval from anyone. In this way I was a lot like Nasreddine, the young hero of the eponymous folk tale/picture book recently published by EBYR. As the story opens, little Nasreddine, his father Mustafa, and their gentle donkey are hauling a basket of dates to the market. On the way, they pass “a vizier on a beautiful Arabian horse.” A vizier who happens also to be . . . (duhn duhn DUHN) . . . a critic. Mustafa’s response to this criticism is measured and without malice: “You words, sir, are hurting my ears,” he calmly replies. Like my own younger self, however, Nasreddine takes the criticism much more to heart. The next week, when it’s time to go to market again, Nasreddine — remembering the sting of the Vizier’s remark — slyly pretends to twist his ankle so that he may ride on the donkey instead. But this solution also does not escape the critical notice of passersby. Women washing their clothes at the river scoff at the arrangement. Again, their words roll off Mustafa like water off a duck’s back — and again, Nasreddine takes them deeply to heart. It is at this absurd suggestion that the longsuffering Mustafa finally puts his foot down. Looking back with all the wisdom that Nasreddine (along with thirty-plus years of lived experience) has now given me, I don’t regret having been generally respectful to my parents. I’m glad I didn’t make a habit of grieving my teachers. But . . . if I had it to do all over again, I would wear those awesome tights (they were white and speckled all over with little purple bows, in case you’re wondering) over and over and over again — with pride — until they were finally too worn or stained or small to be worth the trouble of tugging them on in the morning. 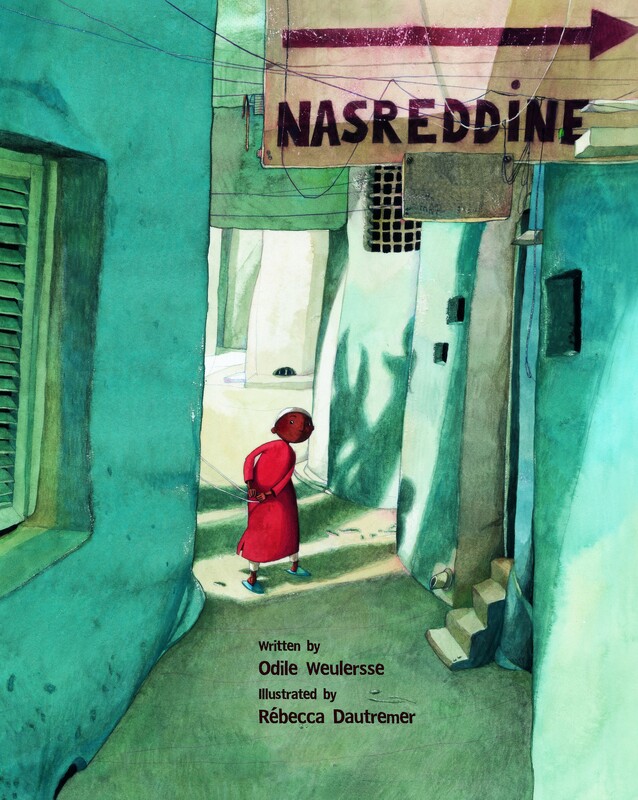 Click to learn more, to browse a Google preview featuring interior illustrations, or to order Nasreddine, written by Odile Weulersse and illustrated by Rébecca Dautremer.